"First, post the 2008-09 crisis, the world economy is pregnant with multiple equilibria—self-fulfilling outcomes of pessimism or optimism, with major macroeconomic implications. Second, incomplete or partial policy measures can make things worse. Third, financial investors are schizophrenic about fiscal consolidation and growth. Fourth, perception molds reality." As you can see it all depends on market mood. Apparently markets are not taking their Prozac and that's why we are in this conundrum. Translating into English, bad situations (bad equilibria) may happen if governments take indecisive action, markets are not sure that the fiscal consolidation (which he seems to support, and the IMF is certainly pushing) will work, and this generates perceptions that are self-fulfilling. No lesson about the problems with fiscal consolidations leading to recessions (no matter what people may think about it). Also, nothing about the need for central banks to buy government debt and maintain interest rates down (irrespective of markets feelings about it, like in the US). No lesson about how a worsening income distribution and a deregulated financial sector push private agents to unsustainable debt positions. And this is the guy rethinking macroeconomics? Here is my New Year resolution: stop reading Blanchard; if this is what he learned, he obviously is clueless. "After a brief flirtation in the 1960s and 1970s, the grandees of the economics profession took it upon themselves to express openly their disdain and revulsion for the types of self-reflection practiced by ‘methodologists’ and historians of economics, and to go out of their way to prevent those so inclined from occupying any tenured foothold in reputable economics departments. It was perhaps no coincidence that history and philosophy were the areas where one found the greatest concentrations of skeptics concerning the shape and substance of the post-war American economic orthodoxy. High-ranking economics journals, such as the American Economic Review, the Quarterly Journal of Economics and the Journal of Political Economy, declared that they would cease publication of any articles whatsoever in the area, after a prior history of acceptance. Once this policy was put in place, and then algorithmic journal rankings were used to deny hiring and promotion at the commanding heights of economics to those with methodological leanings. Consequently, the grey- beards summarily expelled both philosophy and history from the graduate economics curriculum; and then, they chased it out of the undergraduate curriculum as well." The whole interview with Mirowski is here. Nope, not a collapse of China, and also, not clear that it would be a severe collapse in the center, in particular Europe, although that one cannot be completely ruled out. The big risk comes from the macroeconomic policies adopted by Latin American economies. A study by Esteban Pérez and Ramón Pineda, from ECLAC, shows that Latin American economies are, from a regional comparative perspective, good at withstanding the negative effects of contractions and bad at taking advantage of expansions to achieve convergence with the developed world. While it is true that during this last crisis Latin American economies did recover fast, and pursued counter-cyclical fiscal policy, it is also true that the willingness to maintain expansionary policies has waned pretty fast. The IMF fear about overheating and the obsession with inflationary pressures has become dominant in the region (see my discussion of that earlier this year here). 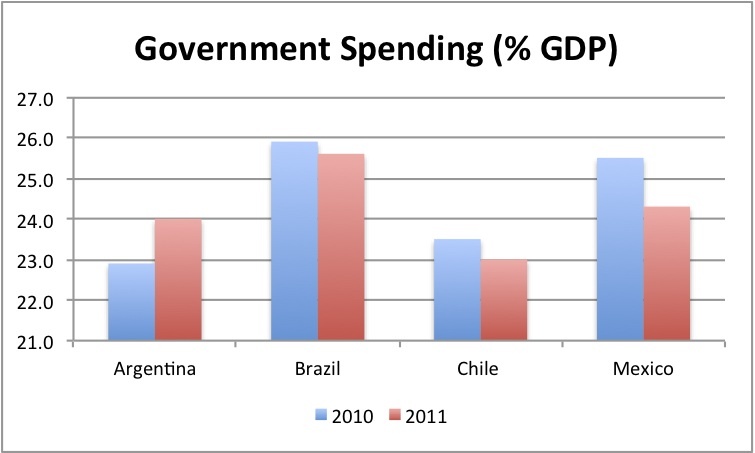 The graph below shows government spending as a share of GDP in the big four (Argentina, Brazil, Chile and Mexico). 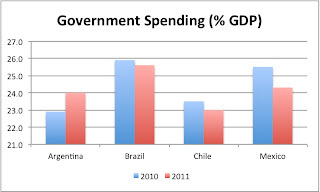 As it can be seen only in Argentina spending did not shrink in 2011 (an election year by the way), whereas in the other three the reduction were of 0.3, 0.5 and 1.2 of GDP. With a multiplier of around 2, ceteris paribus, there is a potential for a significant slowdown in the region. In fact, in Brazil the economy already stalled to almost zero growth in the third quarter of the year (see here). Following Pérez and Pineda, one could hope for 2012 that countries in the region "instead of viewing expansions through the lens of ‘crisis management,’ expansions should be seen and understood as an opportunity to grow and expand and promote greater levels of well-being, employment and equity in the region." That's this blogger's hope for the New Year. Happy Holidays! PS: Data from ECLAC here. "There is a very real risk of new economic crises erupting and, in today’s highly integrated world economy; their impact will not be limited to specific sectors or to well-defined regions. The G-20 initially recognised this fact, but recent actions have not been consistent. In particular, the fiscal restraint in the countries with current account surpluses and very low long-run interest rates in Europe, point precisely in the wrong direction. A fragile global economy has a significant interest in the implementation of expansionary, rather than contractionary fiscal policies in key economies. Only the former can open a path towards lower fiscal deficits and falling public debt ratios. A “lost decade” for the world economy would risk the development gains achieved during the recent years, and throw into question the ability of democratic governments to tackle the most urgent challenges of our age." Fiscal austerity in the center, not bubbles in the periphery, are the real risk for the global economy. 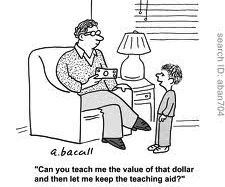 This wealth redistribution business is trickier than I thought! December is, and will continue to be, quite slow. But the video above shows the difficulties of redistributing wealth and why Republicans are against class warfare! Here is Jamie's keynote speech at the Associação Nacional dos Centros de Pós-Graduação em Economia (ANPEC) in Foz do Iguaço, Brazil. If nothing else this talk would be worth for the anecdote of John Kenneth Galbraith granting Piero Sraffa authorization to fly, in a US army plane, to the expected Comunist Revoultion in Italy! All these papers were published this year in the U's working paper series. A holiday treat; enjoy! The European Leaders agreed in principle at their meeting in Brussels on the 8th/9th of December 2011 to adopt tougher sanctions on the euro area countries that break the ‘new’ rules of what used to be the Stability and Growth Pact (SGP), what is now called the ‘fiscal compact’ (FC). The FC requires that tax and spending plans be checked by European officials before national governments intervene. There will be automatic actions against those countries that are deemed to have budget deficits that are too large. In effect the new agreement tightens the rules of the old SGP, but with no apparent improvement, as the FC retains the principles of the previous SGP but with the one addition that breaking the deficit rules may actually be punished in some way. Read the rest here. Also read Tom Palley's take on the role of the ECB in the crisis here. I have lots problems with Marglin's views, not just on heterodox economics, but on the mainstream too. Marginalism (neoclassical economics), the supply and demand story that emerged in the 1870s, is not simply about efficiency. It is about a certain type of efficiency (factors of production are fully utilized). There are different views of efficiency, and certainly that was the case for the authors of the surplus approach (Smith/Ricardo/Marx), for whom efficiency was essentially about capital accumulation, i.e. the wealth of nations. Also, the problem is not that the mainstream ignores income distribution, but that it provides an untenable position on income distribution (to each according to its productive). In contrast, for the surplus approach authors income distribution depends on class conflict. 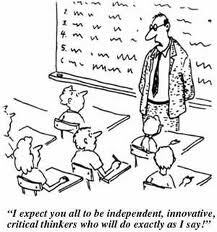 From my point of view, Marglin is very close to presenting a post-modernist view of critiques of the mainstream, that is, several alternatives to the mainstream are acceptable, as the much as the mainstream is. This is Deidre McCloskey's view that economics is about the rules of conversation, rhetoric. I'm more of a realist, I think there is an external reality independent of my views about it, and that there are, besides logical aspects, facts that allow us to discern between theories that are not correct (the mainstream) and theories that have not been proved wrong (classical-Keynesian). For my view on heterodoxy read this. PS: Marglin's syllabus here. Thanks to Pedro Américo for the tip. Here is the link of my interview with Real News Network. Emphasis, as always, on who wins and who looses with the crisis, and its adopted solution, i.e. austerity. This is not about center vs periphery, but about capital and labor. This crisis has been functional, and serves certain interests. The question is what is behind the current neoliberal European project? My talk at the University of Texas, Austin, on the Crisis in the Eurozone Conference. I disagree with everything I said! "A word about the content: I continue to find Carmen Reinhart’s fatalist view puzzling. She agrees with me that we’re facing a demand-side problem — but insists that this problem can’t be solved quickly, that we need to go through many years of painful deleveraging that leave millions of potentially productive workers idle. I agree that this is probably what will happen, given the political realities. But surely this is a huge failure of policy, not something we should accept as inevitable. It’s truly bizarre, if you ask me, to say that our economy suffers from too little spending, and that nothing can or should be done to increase that spending." He then uses a variation of an ISLM to explain his and Reinhart's views. Translating, political fatalism seems appropriate in the US, but theoretical fatalism is out of place. Agreed! PS: Also worth reading is Cassidy's take on Obama's speech. An antidote to the fatalism above. "The excellence of Tony Thirlwall’s series for Palgrave on Great Thinkers in Economics is confirmed by this volume on Michał Kalecki, written by Kalecki’s former student, Julio López Gallardo (Professor at UNAM, Mexico City), and Michaël Assous (Maître de Conferences at the University of Paris, Panthéon-Sorbonne). 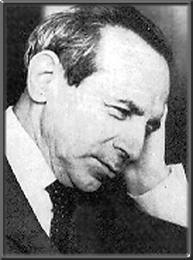 The book is important in part because of the very enigmatic quality of Kalecki’s ideas which, expressed by him in a dry, lapidary style with few references, appear to have come from nowhere to anticipate the Keynesian Revolution that Keynes labored so long to wrest from the legacy of Alfred Marshall. As Robert Solow, quoted in this book (p. 214), remarked: “Michal Kalecki ... seems to have sprung, full-grown, from his own brow; and his important work on macroeconomics is written not in opposition to the orthodoxy of his time, but in utter independence of it." He also suggested that students boycotted the wrong class, since his lecture that day was on inequality. 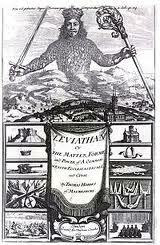 Note that his views on inequality are strictly based on conventional mainstream neoclassical theory. Inequality for him is based on education (see here his critique of Krugman’s views on inequality). So basically the top 1% are more educated, more productive and, as a result, receive more. You cannot protest market forces. So I've been writing a bit more than often on trade issues. One important conclusion of a paper I co-authored a few years ago was that: "absolute advantage, determined ultimately by low costs of production and/or depreciated currencies, seems to be far more important than comparative advantage in the determination of trade patterns. Developing countries that pursue 'neo-mercantilist' policies to enhance the competitive position of their firms may in fact be doing something rational, leading to higher rates of growth and higher levels of productivity that would imply higher living standards for their population. 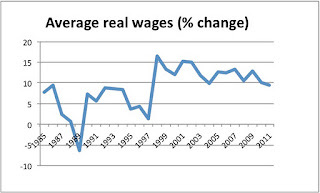 Also, the avalanche of financial crises in the 1990s, shows that the prescriptions of pop liberals were unfounded; and that balance of payments disequilibria are seldom benign and self-adjusting. Crises are cumulative and the costs of adjustment severe. 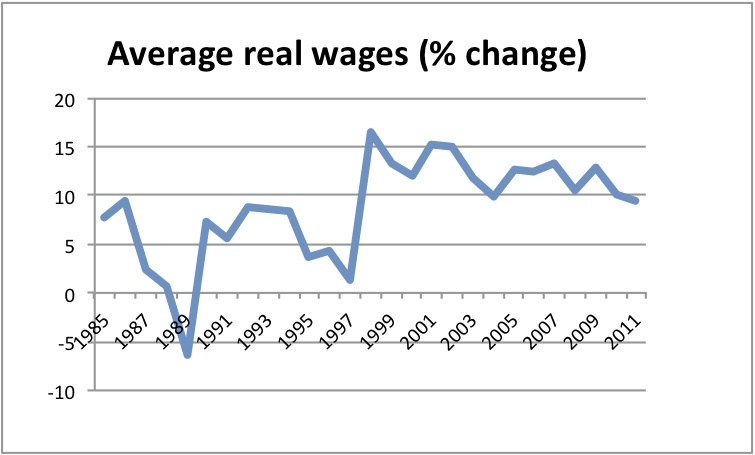 The Asian crisis and the more recent one in Argentina make the point very clear." Interestingly enough since the Argentine crisis in 2001-2, developing countries have grown considerably faster, and rebounded from the Great Recession pretty fast. It has been the advanced economies, that should not have problems with their balance of payments that got stuck. But the causes for that are fundamentally political. The full paper is here (the title should have said only Principle in the singular). Another paper with similar arguments here. As part of Peter Ho's talk yesterday, two graduate students presented some of their research. One of the topics, was the role of the State, the Fiscal-Military State in particular, in the early process of industrialization and development in the US, which was, as noted by Peter, very much in line with his arguments for managed trade. Here is a link to a paper I wrote on the rise of what Schumpeter termed the Tax State. On the Fiscal-Military State read this. The classic book by John Brewer, The Sinews of Power, was essential in the development of some of these ideas, in the sense that it shows the fundamental role of the State for industrialization and the creation of a global empire. The argument put forward, in the talk yesterday, was that the US development can only be understood from a Fiscal-Military Developmental State perspective. Peter Ho, from the University of Denver, gave a nice and stimulating talk based on his recently published book. He tries to rethink classical political economics views on trade, reviewing the contributions of Smith, Ricardo and Stuart Mill, and the trade policy advise that derives from it. Without having read the book, the presentation suggests a sort of institutionalist approach to the critique of the mainstream. One thing that did strike me out as peculiar to the presentation, but which may not be reflected in the book, was the critique of the mainstream view of trade on the basis of Ricardo/Mill rather than the Heckscher-Ohlin (HO) model. Note that comparative advantage in the HO story is associated to full utilization of resources and relative prices determined by scarcity (for a critique see here). That's clearly not the case in Ricardo. Also, the Ricardian (properly understood as part of the surplus approach) story is less about the benefits of trade in general, and more about which social class benefits and which one loses from protection (see my discussion here). One last point about the talk, that I would have liked to discuss with Peter (I had to leave for a defense) was on Mill. He was a peculiar author in-between classical political economy and marginalism, and his contributions are more problematic to properly understand than authors like Ricardo and Marshall. 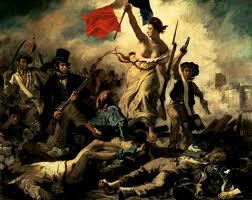 In fact, Mill is a key author to understand the break between the surplus approach and marginalism. As noted by Krishna Bharadwaj, what was Ricardian in Mill's theories does not appear in Marshall's work, and what is proto-Marshallian in Mill's ideas was not part of Ricardo's views of political economy. In that sense, while I'm comfortable with a Smith/Ricardo approach to trade, I'm less keen about adding Stuart Mill to the mix. PS: I should have noted that his discussion of trade policy builds on Hamilton, List, Prebisch, Myrdal, Singer and others, like the work of Ha Joon-Chang. A paper of mine on a similar subject is the entry on Export Promotion for the International Encyclopedia of the Social Sciences, edited by Sandy Darity (here). So the Fed announced yesterday that they will inject money into European banks if needed. Mark Thoma and Paul Krugman posted about it (here and here). This is not new, since the Fed did lend to European banks after the Lehman collapse. The reason is simple, US banks would be also affected by a collapse of the European banking sector. 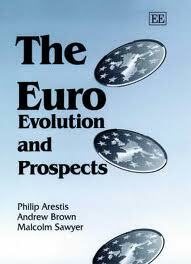 The point is that this not sufficient to end the euro crisis, for that the ECB must act buying European bonds. No substitute for that. 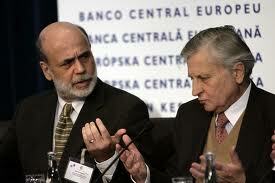 So Bernanke is still asking: what are these guys doing over there?